Arguably two of the most challenging long-term chronic conditions facing our national health service are Type 2 diabetes (T2D) and asthma. Partnerships between industry and the NHS are one way to successfully reach the primary care targets set out in the NHS long-term plan, and support improvements in chronic conditions such as diabetes and asthma. At Napp we believe that partnerships should be about adding value beyond price. This is why we take a holistic approach to the support we provide to our NHS partners, delivering programmes that range from investment in disease management to educational resources. Our dedicated educational platform, known as Napp Academy, provides bespoke educational and training resources to support the delivery of the best possible care for patients, by identifying and meeting the unmet needs of our healthcare professional partners across both asthma and diabetes. Napp Academy works in partnership with Education for Health to deliver training courses and bespoke workshops that run throughout the UK. We are able to provide this support through a diploma bursary scheme that covers 75% of the modules cost to ensure healthcare professionals can better support their patients and directly improve patient outcomes. Our Napp Academy courses are carefully designed to include all relevant clinical guidelines, while ensuring they suit the needs of healthcare professionals who already have experience and/or knowledge of asthma and require an update in the area. 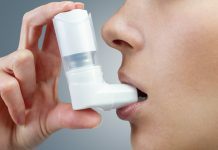 The courses include guidance and resources on current evidence and guidelines, assessing and maintaining control with personalised asthma action plans and case studies on best practice. Over the past year, our Appropriate Prescribing meeting series has delivered courses across the UK, not just for healthcare professionals but for CCG training leads involved in respiratory care. The series highlighted the vital need for education in respiratory diseases and provided hands on training to aid healthcare professionals in recognising and managing patients, with the ultimate aim of improving the standard of UK respiratory care. 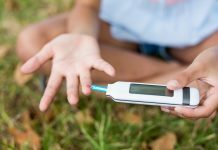 The positive feedback from this series and the gaps that it helped identify, has led to the development of a similar series in diabetes, which is expected to launch in Spring 2019. 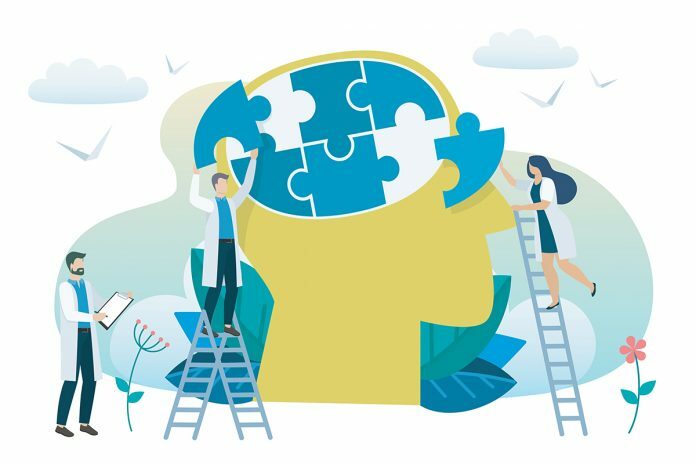 As the role of prescribers continues to evolve to meet the changing UK healthcare environment, building appropriate educational programmes has become increasingly vital. One of our most successful programmes has been through a partnership with Soar Beyond and the i2i Network. We worked together to support practice-based pharmacists to act as change agents to help improve patient outcomes. The programme delivered workshops that helps practice based pharmacists implement and capture measurable patient and practice outcomes. To date this partnership has upskilled and empowered over 400 practice-based pharmacists with customised modules in diabetes and asthma management, including two uniquely developed by Practice Nurse and The British Medical Journal (BMJ). We look forward to continuing this partnership in 2019 and further enabling healthcare professionals to actively improve patient outcomes. Some of our most important partnerships are with healthcare professionals. We are currently working together to help improve the understanding of emerging data in the fast-evolving and critical area of TD2. In an effort to support time-stretched primary care healthcare professionals, in 2018 we brought together a group of UK leaders in diabetes to form the Improving Diabetes Steering Committee. The Committee aims to offer evidence-based practical guidance for the use of a recent class of medicines, sodium glucose co-transporter 2 inhibitors, and to help build confidence and understanding regarding the appropriate place for these medicines in T2D management. The first project from the Committee was the development and publication of a consensus paper: ‘SGLT2 inhibitors in TD2 management: key evidence and implications for clinical practice’. Published in Diabetes Therapy, the consensus paper, summarised in a simple prescribing tool, has provided over 12,000 clinicians with guidance that can easily be implemented into their everyday practice. Napp has been working alongside the NHS since its inception. We understand the needs and priorities of the health service, and this has always informed our approach in bringing value-added medicines to the NHS through effective partnerships. This is innate in the way we work, as a partnership-based organisation, placing it at the heart of everything we do and every relationship, from our wholesale distributors to NHS deci­sion-makers. Our structure and emphasis on partnership working has enabled us to remain agile and gives us the flexibility to make locally driven decisions quickly, in order to help our partners deliver sustainable healthcare solutions that ultimately improve patient outcomes. We believe that working together in partnership can create a step-change in the UK healthcare system and drastically improve delivery, accessibility and quality of sustainable patient care. For us, delivering strong partnerships begins by ensuring mutually beneficial goals for both partners, engaging the full resources available on both sides and setting out clear and achievable objectives. However, the most important aspects of a great partnership are honesty, and never being afraid to challenge the norm. Amidst the backdrop of ongoing financial pressures for the NHS, and the increasing burden of long-term chronic conditions, mutually beneficial partnerships that support our NHS are more vital now than ever. And as we look to the future – we know that partnerships will be the cornerstone of delivering improved care across the UK. 1 The Kings Fund. Long-term conditions and multi-morbidity. Available at: https://www.kingsfund.org.uk/projects/time-think-differently/trends-disease-and-disability-long-term-conditions-multi-morbidity. Last accessed: February 2019. 2 BMJ. 2017. NHS in 2017: Keeping peace with society. BMJ. 2017;356:i6738. 3 Department of Health. 2012. 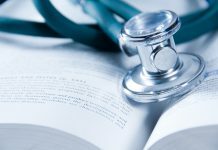 Long term conditions compendium of information – Third Edition. Available at: https://assets.publishing.service.gov.uk/government/uploads/system/uploads/attachment_data/file/216528/dh_134486.pdf. Last accessed: February 2019. 4 Diabetes UK. 2018. Facts and Stats October 2016. Available at: https://diabetes-resources-production.s3-eu-west-1.amazonaws.com/diabetes-storage/migration/pdf/DiabetesUK_Facts_Stats_Oct16.pdf. Last accessed: February 2019. 5 NHS England. 2018. Type 2 diabetes and the importance of prevention. Available at: https://www.england.nhs.uk/blog/type-2-diabetes-and-the-importance-of-prevention/. Last accessed: February 2019. 6 NHS. 2012. Diabetes: cases and costs predicted to rise. Available at: https://www.nhs.uk/news/diabetes/diabetes-cases-and-costs-predicted-to-rise/. Last accessed: February 2019. 7 Open Access Government. How inequality leads to poor asthma outcomes. Available at: https://www.openaccessgovernment.org/inequality-poor-asthma-outcomes/55407/. Last accessed: February 2019. 8 Asthma UK. 2018. Asthma facts and statistics. Available at: https://www.asthma.org.uk/about/media/facts-and-statistics/. Last accessed: February 2019. 9 Asthma UK. 2018. Asthma UK study estimates that asthma care costs at least £1.1bn per year. Available at: https://www.asthma.org.uk/about/media/news/asthma-uk-study-1.1bn/. Last accessed: February 2019. 10 NHS. The NHS Long Term Plan. Available at: https://www.longtermplan.nhs.uk/wp-content/uploads/2019/01/nhs-long-term-plan.pdf. Last accessed: February 2019. 11 Springer. SGLT2 Inhibitors in Type 2 Diabetes Management: Key Evidence and Implications for Clinical Practice. Available at: https://link.springer.com/article/10.1007%2Fs13300-018-0471-8. Last accessed: February 2019. Must Read >> Health research: Why can asthma still not be cured?